Dead girl's ghost pictured floating about the children’s ward. Man takes photo of children’s ward of a hospital. Accidentally photographs the ghost of a little girl. Who ya gonna call? Andrew Milburn Ghost hunter. So far this year, we’ve had photobombing ghosts hijack wedding photos, Snapchat selfies and pictures of little girls at the beach. A little girl ghost. At a hospital. Visiting the children’s ward. The creepy factor is very high. It seems ghosts these days are getting worse and worse at being all mysterious, popping up in just any old selfie and completely ruining all their street intrigue cred. 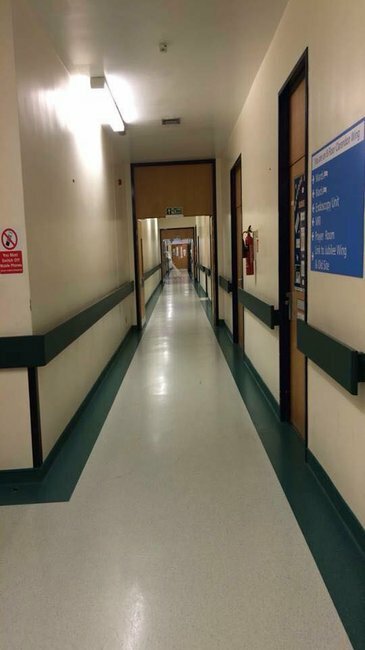 The picture of this little girl ghost was taken on Snapchat by a hospital worker who just randomly snapped the corridor to prove to his girlfriend that he was at work (that’s a whole other story there). This is a seemingly innocuous Snapchat image… until you look closer. Image via Facebook. 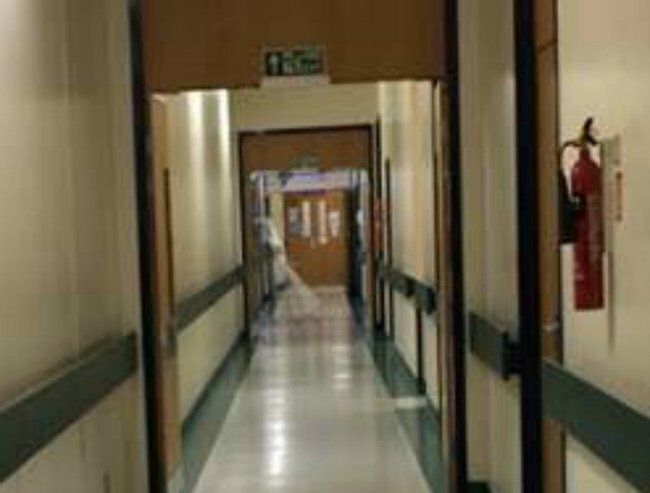 Leeds General Infirmary employee Andrew Milburn told UK newspaper the Mirror he had no idea he had captured the spooky apparition at the time. “Unbeknown at the time it appears that I captured a ghost figure in the corridors,” the 21-year-old said. “I have since put this picture on Facebook, it has received thousands of likes and comments and has been shared as far as America. When you look closer, she has hair and a fancy flowing dress. Image via Facebook. Mr Milburn said some of his co-workers have also heard footsteps at the spot the ghost appears despite there being no one around. “There have been a few odd things,” he told the Mirror. Andrew Milburn, Ghost Hunter. Image via Facebook. The former ghost sceptic has taken his new talent very seriously, even setting up a public figure Facebook page titled Andrew Milburn the Ghost Hunter. So far, he has received 10 likes. But sceptical Facebook users are claiming the image had been photo-shopped or may have been created using Ghost Capture, which allows users to put a pre-existing ghost image into their own photos. In the meantime, you know who to call. A former Top Model contestant says she is seeing Charlotte Dawson’s ghost. 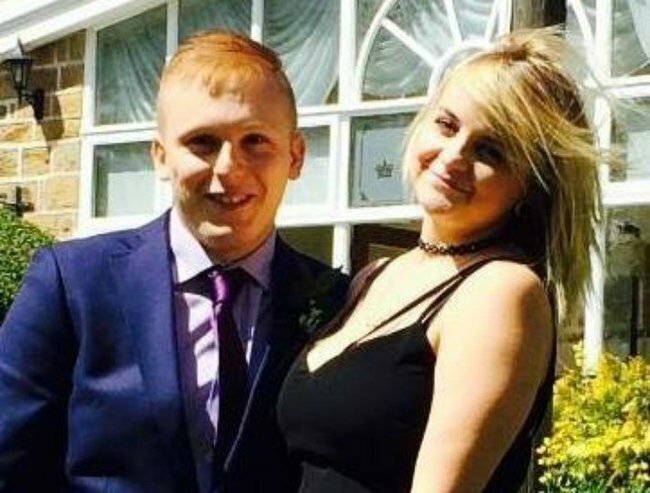 Horrifying ghost baby photobombs couple at wedding. Nobody ever sleeps again. There is now a supernatural dating site for psychics, spirit healers and ghost whisperers. Do you think this is a ghost or a hoax?